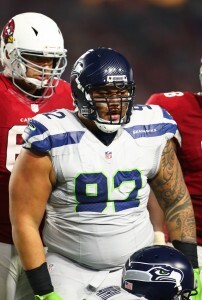 The Jaguars have signed defensive tackle Sealver Siliga, according to agent David Canter (Twitter link). Details of the deal are not known, but it’s likely a one-year pact with little or no guaranteed money involved. After re-signing with the Bucs on a one-year deal worth up to $1.5MM, Siliga appeared in eight games as a reserve with eight total tackles. He had a workout with Lions last month, but it has been a quiet offseason for him otherwise. Although he hasn’t done a whole lot in the past two years with Tampa Bay, Siliga has seen significant playing time in the past. Between 2014 and 2015, Siliga started nine games (in 20 appearances) for the Patriots, collecting 60 tackles and 2.5 sacks. With the Jaguars, Siliga will fight for a roster spot behind starting defensive tackles Marcell Dareus and Malik Jackson. First-round pick Taven Bryan projects to be the first defensive tackle off of the bench and Abry Jones should be in line for playing time, but the competition is fairly open after that. Could the Browns entertain the idea of signing Dez Bryant? In the wake of Josh Gordon‘s latest setback, Ian Rapoport of NFL.com (video link) wonders aloud if the Browns could call on Bryant to fill the void. The Browns certainly have the cap space to sign Bryant, but it’s not immediately clear whether there’s interest or whether Gordon’s situation will necessitate a signing. For now, all we know is that the Browns have placed Gordon on the NFI list and he is not under suspension from the NFL. Not yet, at least. The Ravens and linebacker C.J. Mosley have yet to make progress on an extension. Jeff Zrebiec of The Athletic isn’t exactly sure what the holdup is, but he posits a few theories. It’s possible that the Ravens are hesitant to sign a defensive standout to a long-term deal after injuries hampered players like Jimmy Smith and Lardarius Webb after their extensions. It’s also possible that the Ravens do not value inside linebackers as much as other clubs because of their history of finding UDFA gems at the position. Or, perhaps GM-to-be Eric DeCosta does not want to tie up the club’s future cap space. Still, with a number of players on expiring deals and others with minimal guarantees, the team should have enough flexibility to sign Mosley. Defensive tackle Sealver Siliga had a workout with Lions last week, Greg Auman of the Tampa Bay Times tweets. Siliga had eight tackles for the Bucs in eight games last year. Here’s the latest the Browns and Gordon. Kenny Britt‘s four-year Browns deal will provide the ninth-year wide receiver with $10.5MM fully guaranteed at signing, per Adam Caplan of ESPN.com (on Twitter). Britt will collect $17MM over the first two seasons of this deal, Caplan reports. The Lions‘ lavish accord for Ricky Wagner raises the right tackle ceiling, although the base salaries in this contract don’t reflect that early. Wagner will see $3MM in base salary in 2017 and ’18 before those figures spike to $9MM per year from 2019-21, Dave Birkett of the Detroit Free Press reports. Wagner’s deal provides $17.5MM in true guarantees, with his 2018 salary being fully guaranteed on the fifth day of the ’18 league year, per Birkett. Wagner’s 2019 base salary is guaranteed against injury. He received a $14.5MM signing bonus, while the former Raven’s cap hits will be $5.9MM in each of the next two seasons. D.J. Fluker‘s one-year Giants pact is expected to be worth $3MM, Ralph Vacchiano of SNY.tv reports. That’s quite a bit lower than what the Chargers would have paid him ($8.82MM) if they kept him after picking up his fifth-year option. Menelik Watson‘s three-year, $18.75MM Broncos accord will give the British blocker $5.375MM in fully guaranteed money at signing, Mike Klis of 9News reports. Watson received a $4MM signing bonus. The former Raider will have a $5.5MM guaranteed-against-injury salary in 2018 and is due a nonguaranteed $5.5MM amount in 2019. Ronald Leary‘s four-year contract with the Broncos also comes with a fully guaranteed 2018 salary, which will pay former Cowboy $7.65MM for his age-29 season, per Klis. Leary is slated to make $8.15MM in 2019 and ’20, respectively. His 2019 base salary is guaranteed against injury only, with the ’20 slate being nonguaranteed. Russell Shepard‘s three-year Panthers deal will be worth $10.5MM, Jenna Laine of ESPN.com reports. The contract includes a $2MM signing bonus and $2.5MM guaranteed. Laine notes the former Bucs wideout will make $4MM in 2017. Sealver Siliga‘s one-year Buccaneers deal can max out at $1.5MM, Greg Auman of the Tampa Bay Times tweets. The contract contains a $200K signing bonus and a $100K roster bonus for the nomadic defensive lineman. Greg Auman of the Tampa Bay Times (Twitter link). It’s a one-year deal, tweets Siliga’s agency. Tampa Bay claimed Siliga off waivers last November after he was waived by the Seahawks. In six games with the Bucs, the 27-year-old compiled five tackles and one sack. Between 2014 and 2015, Siliga started nine games (in 20 appearances) for the Patriots, collecting 60 tackles and 2.5 sacks. Last offseason, the defensive tackle earned a one-year, $1.4MM ($250K guaranteed) contract from Seattle. 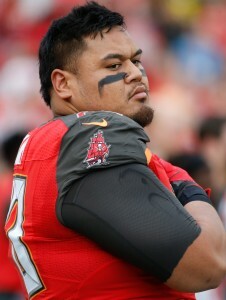 Siliga will presumably compete with Clinton McDonald to be the primary substitute for starting defensive tackles Gerald McCoy and Chris Baker. The Buccaneers claimed defensive tackle Sealver Siliga off waivers from the Seahawks, a source tells Greg Auman of the Tampa Bay Times (on Twitter). Siliga saw time in four games this season and racked up five total tackles. Siliga saw time in 13 games (four starts) for the Pats last season and finished out with 29 tackles. Between 2013 and 2014, he totaled 5.5 sacks in limited action. To make room, the Bucs are waiving undrafted rookie defensive end Channing Ward. The Ole Miss product was inactive for Sunday’s game versus the Bears. Ward went undrafted this year despite enjoying his best collegiate season as a senior. In 2015, he tallied 35 tackles (including 6.5 tackles for a loss) and 3.0 sacks.